Wish you all a very happy Makara Sankranthi. 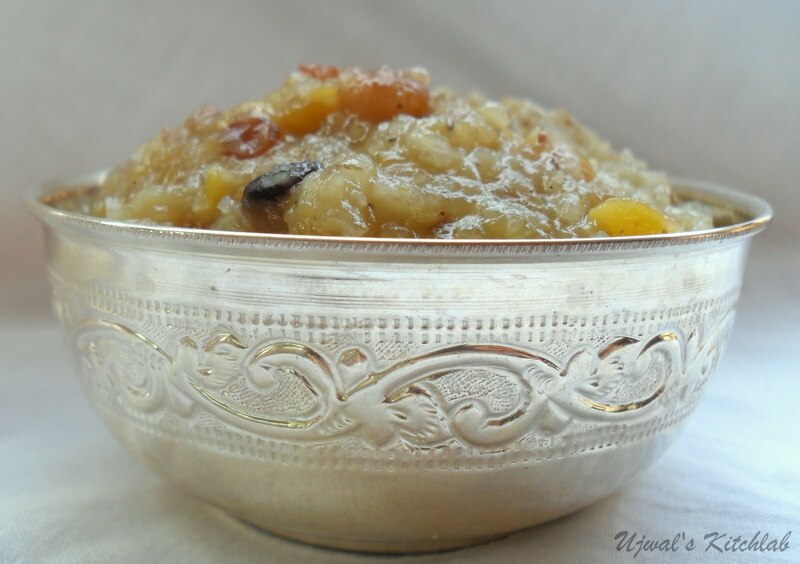 We normally prepare Dosa and Khichidi (Sweet) during sankranthi. 1) Dry roast chana dal until it gives a nice aroma. When cooled wash it well and pressure cook along with broken wheat and water until done. 2) Add sugar to the dal mixture and give it a good boil stirring in between. 3) Add the grated coconut, 3 tbsp ghee and keep stirring until it comes to a rolling boil. Add water if the mixture seems to be too dry. Make sure that mixture comes to a boil if water is added. 4) Heat 1 tbsp of ghee , add cashews and fry till golden. Remove them and add raisins to the same ghee and fry till they are fluffy. Add the cashews, raisins and cardamom powder to the sweet and switch off. P.S: Fully ripe banana can also be added to the same. If adding, finely slice it and add after you switch off the gas. Also note that if banana is added the sweet turns stale the next day. So make sure to add to a small portion that you can finish. It tastes delicious with chopped banana. Some also add finely chopped dates along with banana slices. Tastes wonderful. Both are optional. wish ya happy makar sankranti.. 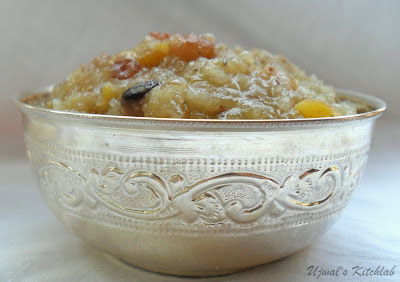 The sweet khichdi and the container both have caught my attention. That looks very refined, festive and extremely enjoyable..beautifully presented! Check my space when u find time dear..
first time here..fascinating space you have...nice collection of recipes...glad I found your space..